This all-natural basket comes from one of the last nomadic tribes in Northern Africa. 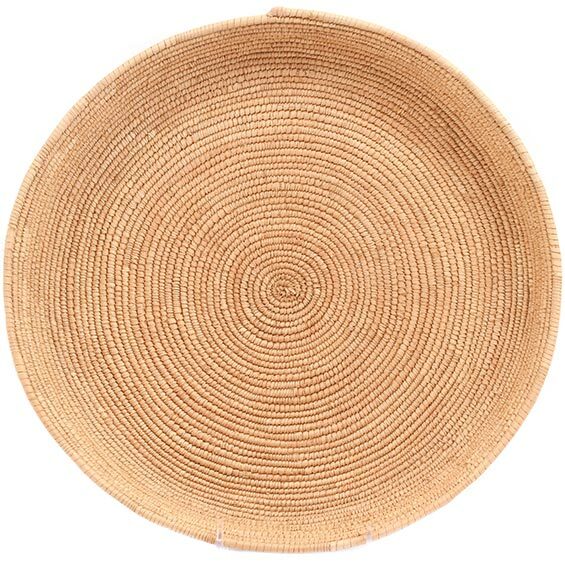 Smooth and beautiful, this basket is a useful tray or could even decorate a wall. You will receive a basket nearly identical to the basket pictured above. The Tuareg people are one of the last nomadic tribes in the Sahel region of Northern Africa. These skillfully coil-woven yet simply deigned basket trays are used for winnowing grain after the harvest. 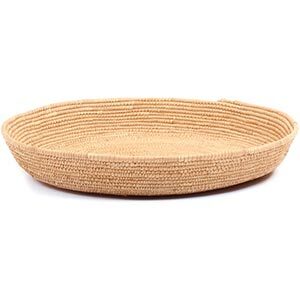 Palm leaf is stitched over grass coils to create this useful tray.